Why so many contractors struggle to shop for and purchase estimating software despite the benefits. Which features are most important to look for when shopping for estimating software. What questions to ask during a sales call or software demo to avoid getting stuck with software that doesn’t work for you. 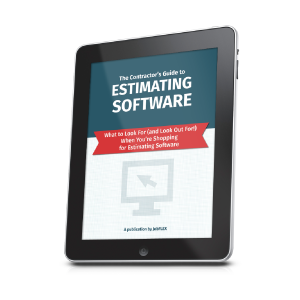 Fill out the form below to download The Contractor’s Guide to Estimating Software and discover what to look for (and look out for!) when selecting estimating software for your contracting business.